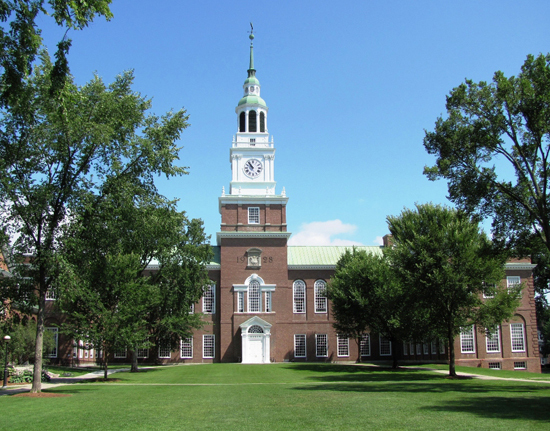 Q: Why is Dartmouth considered a premier school? Scott Safadi: As a member of the Ivy League, Dartmouth sets a remarkable standard of academic excellence. Dartmouth is nationally recognized as a respected institution of higher learning, with a diverse range of majors and areas of study. U.S. News & World Report has named Dartmouth the best undergraduate teaching institution in the United States for the last four years. As an educational experience, Dartmouth excels in a number of different ways. This experience starts with a staff of experienced professors who are genuinely invested in student interests. The focus on helping students to find their true passions and to deliver their best performances is unmatched in the United States. Dartmouth is a home of both research and scholarship, allowing students and professors alike to receive a well-rounded education. Q: What particular fields of study are most popular at Dartmouth? Scott Safadi: I would say that most notably, Dartmouth is an encouraging place for entrepreneurs who are intent on starting a new business. Students are encouraged to embrace a “big picture” philosophy and see beyond just those four years of undergraduate study. The alumni of Dartmouth are responsible for countless technological advancements. The Dartmouth Alumni Association of Silicon Valley is helpful to the career growth of Dartmouth graduates, by providing a number of educational and networking opportunities. For those who are pursuing careers in the Silicon Valley and throughout the country, it provides an educational and social environment where individuals can keep in touch and exchange ideas. Q: What added features does Dartmouth possess? Scott Safadi: Dartmouth's location along the Connecticut River is a huge draw for many potential students. The area is particularly suitable for those who are interested in the outdoors, including activities such as mountain biking and backpacking. The nearby White Mountains offer beautiful views and a wealth of recreational activities, which are a welcome reprieve from the vigorous coursework involved with studying at Dartmouth.